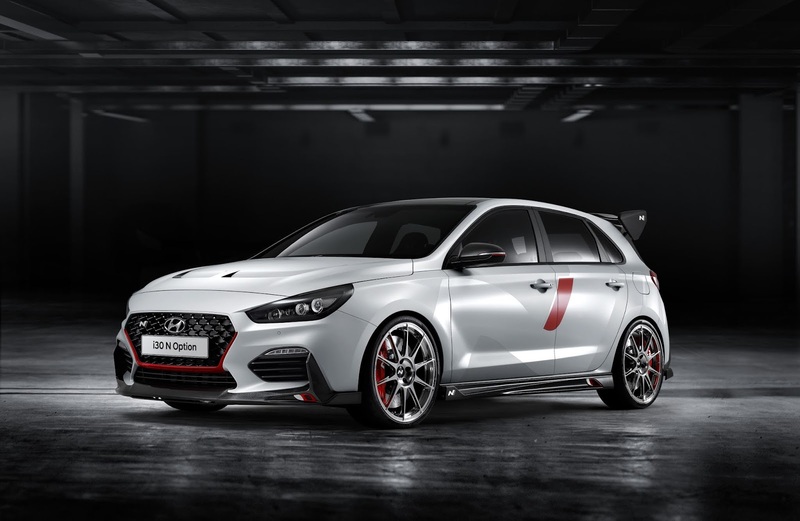 Hyundai's new i30 N ‘N Option’ show car unveiled at the Paris Motor show provides a good glimpse into its future ambitions and activities surrounding production of vehicles with vast amounts of customization features for driving enthusiasts. The new vehicle is packed with 25 varying high-quality exterior and interior individualisation options and presents the vision of possible future N accessories and how Hyundai's high-performance offerings may evolve. 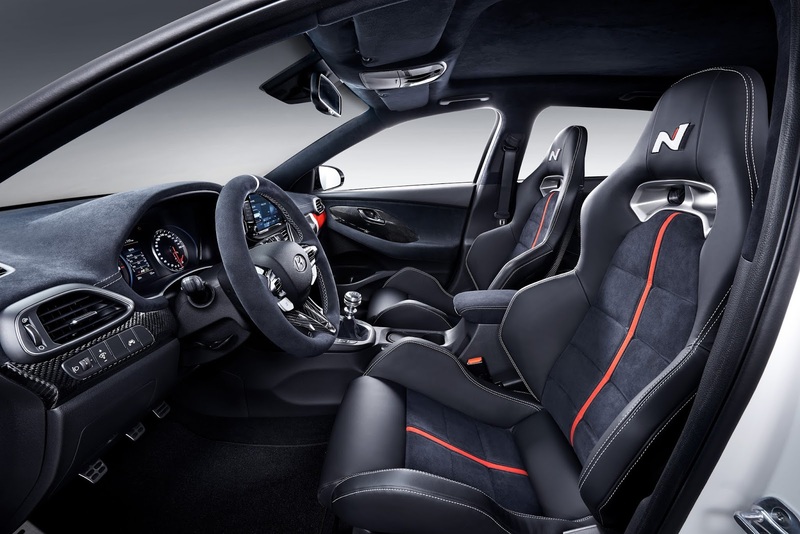 It's 25 high-quality exterior and interior individualisation options includes for examples, a a carbon hood with integrated air vents, thrilling quad mufflers, an N grille surrounded by a red character line and a carbon rear wing carrying the N emblem. Another notable feature are its wheels which features casted lightweight 20-inch rims and are fitted with high-performance semi-slick tyres. For its sleek interior, Black carbon accents appear along the dashboard and also around the air vents, door handles and steering wheel's bottom covered with microfibre material (Alcantara in this case). It's upper dashboard and light weight sport bucket seats with a unique red longitudinal line are also available in Alcantara. It's high performance look is also reflected with its sport pedals, several other interior customisation options and a dynamic-looking gear shift among other specs. 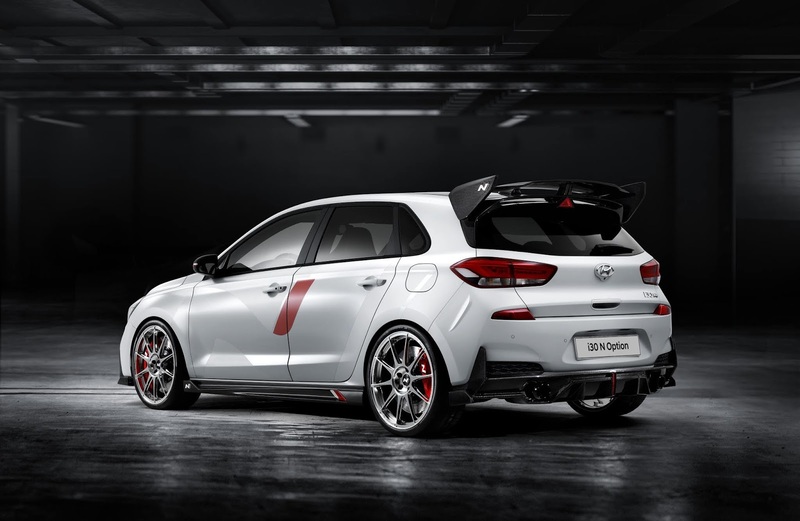 "The new i30 N Line and our i30 N ‘N Option’ show car illustrate our dual approach to customisation, making N available to a wider audience." 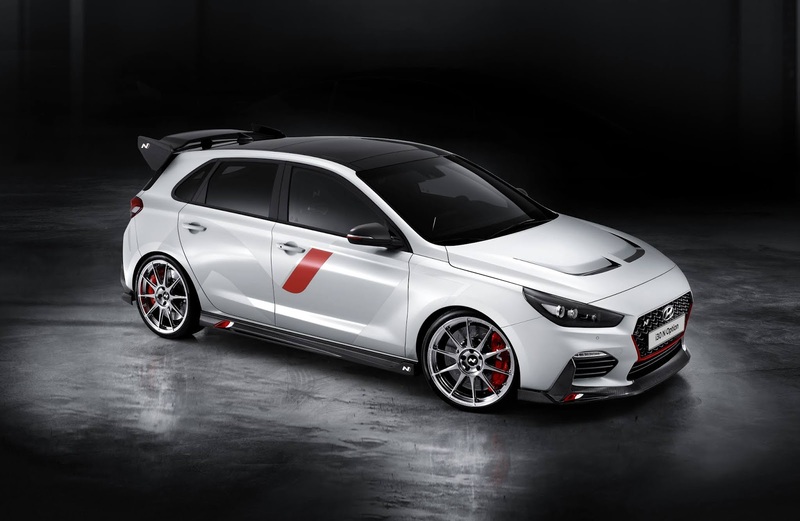 Hyundai's EVP for High Performance Vehicles & Motorsport Division Thomas Schemera said in a statement. "With our N portfolio we are shaking up the competition, and bringing new performance and emotions for our customers. The development of our N vehicles is grounded in Motorsport and our engagement there is the pinnacle of N."